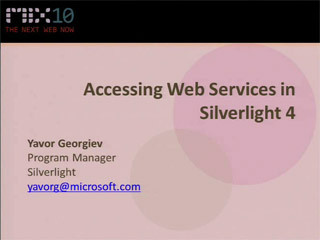 Yavor Georgiev, Program Manager on the Azure Application Platform, covers how to use node.js on the Windows Azure platform. Starting with an introduction into node.js, some examples of how it can be used, and then digging into exactly how node.js works with Windows Azure. 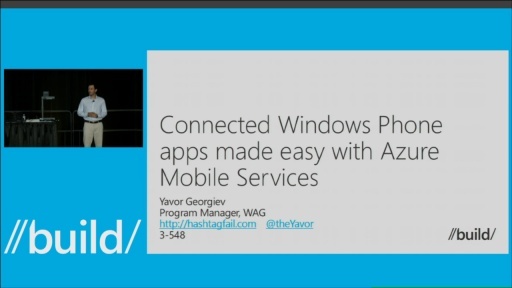 Check out http://www.windowsazure.com/en-us/develop/nodejs/ for more information. when will the replays be available? Videos will be up around the end of this week. Thanks!